If students get into these habits now, they will find it easier to stick to them, and maximise study time during the months approaching the HSC. 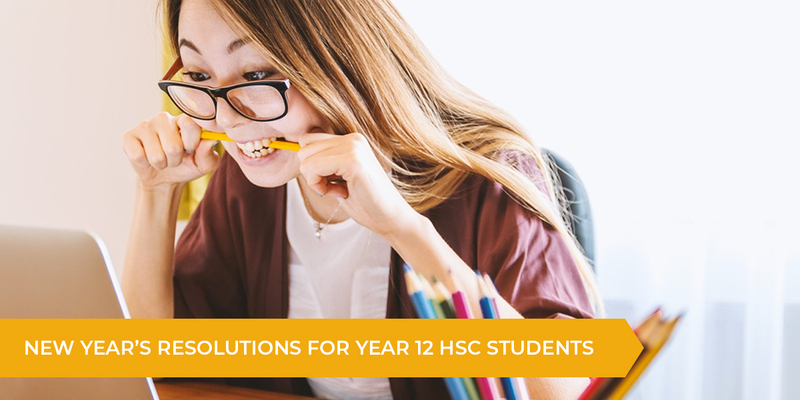 With the introduction of the new HSC Syllabus, this is a chance to start fresh and really explore all your options when it comes to studying and revising content. There are no shortcuts for success in the new HSC; you need to determine what study techniques will work best for you, and stick to them throughout the duration of the year. Rather than fretting about the change to the HSC Syllabus, take this as an opportunity to do things differently and see how this can best benefit your schedule. This doesn’t mean that you can’t revise HSC Past Papers, but it will give you a chance to study using new resources. Just because you’re in Year 12, it doesn’t mean that your entire life has to be defined by the HSC. Having a social life and partaking in hobbies, sports, resting, working and seeing friends and family is the best way to live a balanced lifestyle; it will keep your mind at ease, and actually decrease any stress and anxiety you’ll be feeling throughout the year. Plan out your monthly or weekly calendar and create a schedule which will will allow you to get enough rest and study time. Rather than worrying about how much time you’re spending on study, break down your study sessions and allocate time on what you need to focus on the most. If you want to spend the next term revising a module rather than learning it from scratch, our Fast Forward Revision and Accelerated Courses are a great way to maximise on time during the January School Holidays. Learn one module in just four days, and study wisely to achieve the best results for yourself. By creating a study schedule, you’re setting yourself up for the best possible chance of success. It means that your time is accounted for, and you will know how much study you require for a certain subject. Start by creating a schedule which works with your current lifestyle, and can support your workload into the months before the HSC. This will help when you receive your HSC timetable, and it will be easier to determine how you will share your time amongst each subject. The best way to incorporate good habits in your study technique, is to start them as soon as possible. Don’t leave your school assessments until the last minute, but rather, start thinking of the best way you can tackle them before they’re due. Not only is this a time management skill for the HSC, but it will also benefit you later on in life during university and in your career objectives. Make the most of the time you have with your teachers, and get as much feedback from them as possible. If you’re struggling with essay writing or need help on a particular theory, now is the best time to pick their brain and tie and those loose ends. Teachers are a great resource since they will give you instant feedback, and can create alternative options for you since they’re aware of your academic ability. Don’t be afraid to ask them for help! If you’re struggling on a particular subject or topic, ask them to give you some extra work or exercises over the holidays so you can brush up your skills before the new year has started. Make the most of the time you have now, and use the school holidays as an opportunity to revise your work. Still need a little help when it comes to Year 12? Talent 100’s learning system gets you ready ahead of school. Take advantage of our two week trial and make your talent count in 2019! Click here to find out more about our termly tuition and holiday courses.